Yes, it is that time of the year when tedious jokes (and some occasionally good pranks) make their way into our lives. But all of the capers and frivolity begs the question – how (or when) did the April Fools’ day actually start? Well in short the answer is – nobody knows for sure. But given that we dabble in history, the answer was always bound to be not so simple. And since we brought up history, if we go back to 1957, BBC arguably pulled off one of the greatest April Fools’ pranks of all time, when they ‘mass bamboozled’ throngs of their viewers by airing the ‘The Swiss Spaghetti Harvest’ – a three minute short video on how Swiss farmers basically grew spaghetti out of trees (watch the video after the jump)! But of course, again harking back to history, the origins of April Fools’ Day are surely far older than 1957. In fact, some scholars believe that April Fools’ Day has its precursor (if not actual origin) in Ancient Rome with the festival of Hilaria which fell on March 25th. Celebrating the union of Cybele-Attis, the day was spent with various games, different masquerades and mocking behavior that sometimes even extended to ridiculing higher-placed officials. 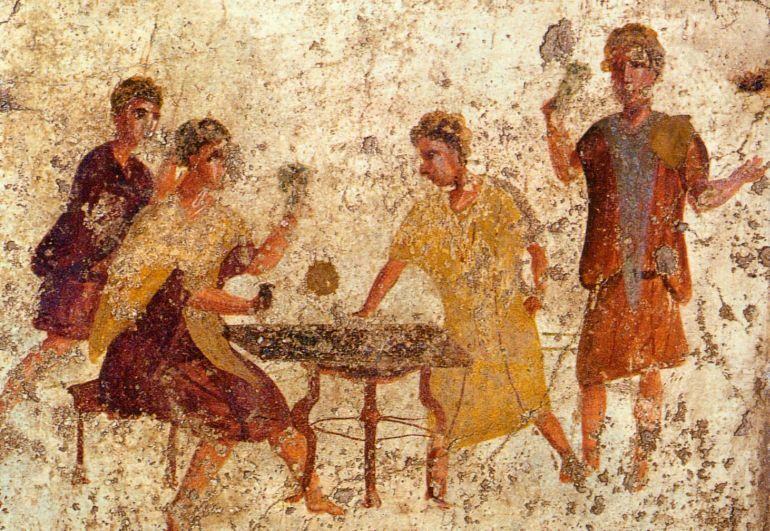 Now it should be noted that ancient Romans did have a penchant for ‘oddball’ celebrations. For example, according to Ovid’s account, in their spring festival of Cerealia (in honor of goddess Ceres, from whose name the word ‘cereal’ is derived), Romans used to tie blazing torches to the tails of foxes, who were then ceremoniously let loose into the expansive space later known as Circus Maximus – as a symbolic punishment for the creatures’ yearly forays into Roman crop lands that were sacred to Ceres. In another festival called the Liberalia (held on March 17th) – dedicated to Liber Pater (‘free father’ – the god of viticulture and wine), the Roman male teenager as a mark of his new-found manhood, had to place a lock of hair from the first shave of his stubble inside a bulla (pendant) on an altar. If we take a closer look at all these festivals, their yearly timeline mostly corresponds to the season of spring. 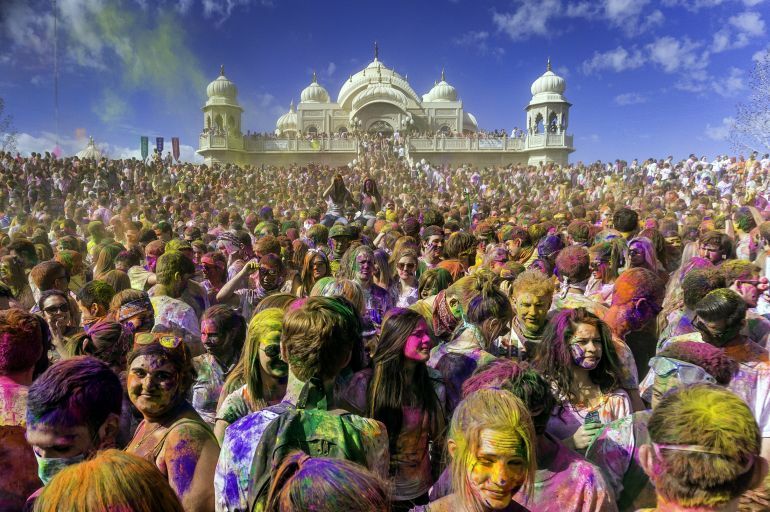 Now if we go beyond the ancient Romans and take a peek at other cultures – Indians of Hindu faith celebrate Holi in March while the Jewish holiday Purim also falls in early spring. Now although the native cultural aspects driving these festivals are different from each other, the underlying tone of the celebrations clearly pertain to mirth and merriment that intrinsically allude to the advent of spring. So from a ‘global’ perspective, the essence of bountifulness and spring might have played its part in encouraging frivolity among humans. And thus we can (though by a long shot) connect the dots that scantily hints at the celebration of a day that inherently relates to lightheartedness. Once again harking back to history, according to folklorist Jack Santino, the Catholic Church establishment itself might have played a crucial role in encouraging frivolous behavior among its patrons. 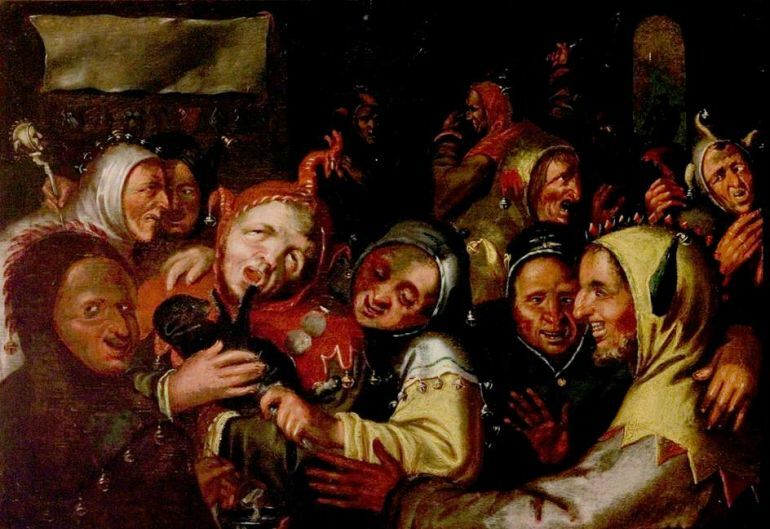 While it may sound ironic, the scope entails a scenario in the middle ages when the Church organized the so-called ‘Feast of Fools’ that fell on January 1st. During this day, the ordinary folks were inspirited to take part in carnivals, role-reversal activities (read ‘role play’), and were even given permission to elect fake bishops and bring donkeys into churches. Unsurprisingly, over the years, frivolity (possibly) gave way to flippancy and extravagance, and the church establishments banned the festivals by 15th century, at least in France and England. But of course the most popular conjecture regarding the origin of April Fools’ Day arguably relates to how the Church (namely Pope Gregory XIII) passed a decree in 1582 AD that outlined the protocol that Christian countries should follow a singular yearly calendar. Hence the so-called Gregorian calendar came into being, which moved the beginning dates of the year from end of March to January 1st. 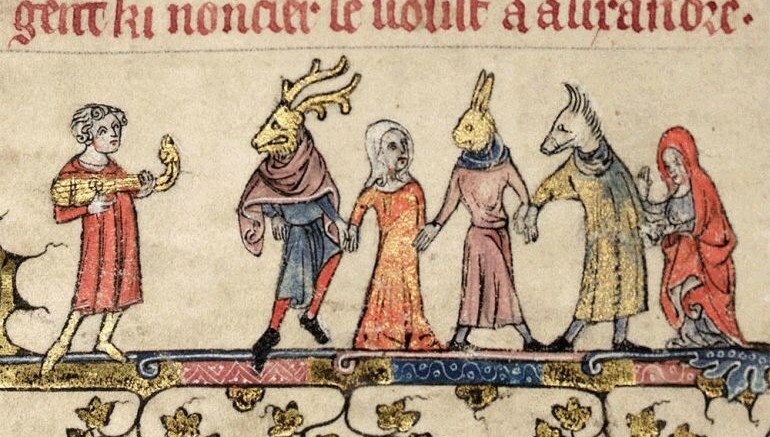 But as was usual in the medieval times, changes were mostly unwelcome – and so, many people were ‘late to the New Year’s party’ and continued to celebrate their year beginning on April 1st. They were possibly mocked as April’s fools, and called poisson d’avril or April fish, thus suggesting how they were easily caught (like young fish). Unfortunately, there are some flaws in this oft-accepted Gregorian calendar-related hypothesis. Well for one, there are literary references to April Fools’ Day even before the momentous decree was passed. For example, a 16th century Flemish poem (published three years before the calendar switch) aptly titled as the “Refrain on fool’s errand-day/which is the first of April”, humorously portrays how a nobleman pranks his servant into running several fool’s errands. In any case, historically, April Fools’ Day possibly became a standardized affair by 18th century in Britain. The jests and pranks were especially popular in many parts of Scotland, with people actively participating in concocting fake errands and even inventing the ‘art’ of putting signs on the unsuspecting person’s back (like ‘Kick Me’). 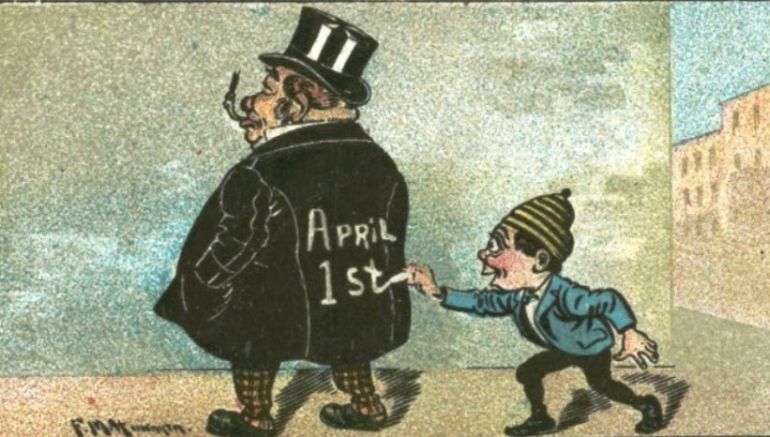 Anyhow, at the end of the day, the origins of April Fools’ Day still remain uncertain. However from an oddly meta perspective, such ‘confusions’ do serve as reminders to take one’s life lightly (at times) and enjoy a befuddling day dedicated to ‘fools’.